(BlackMediaScoop) Rick Ross has something in common with Rob Kardashian … they’re both wasting away, but there’s one major difference — Rozay isn’t cutting back on his chicken wing intake. 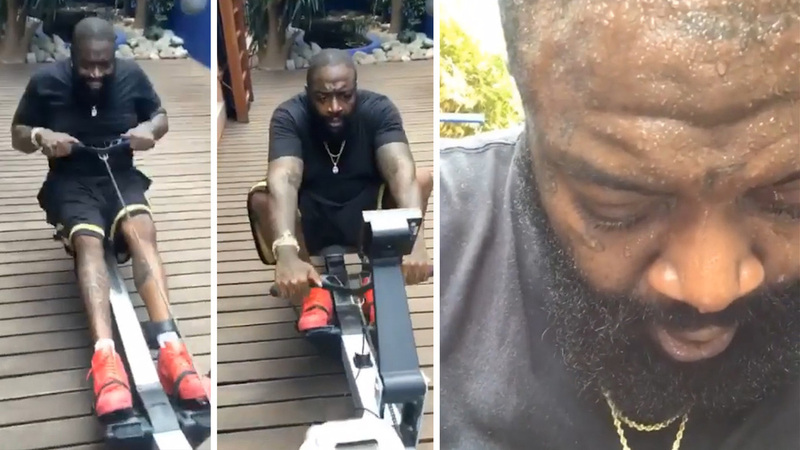 Sources close to Rozay say he’s determined to lose the lbs he packed on after his arrest for assault and kidnapping — so, he’s back on his RossFit program — which requires daily workouts. It’s working. He’s already down more than 60 lbs, and the weight loss was obvious in his recent Snapchat. Some habits he just won’t kick.